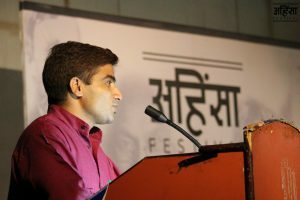 The festival was a movement to revisit the idea of nonviolence (ahinsa) and its usage since the ancient times in the Indian subcontinent. 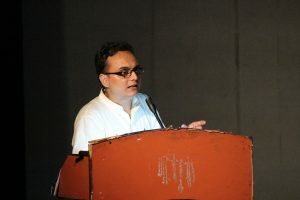 The idea of Ahinsa or nonviolence is not just the absence of violence. It is a practise, a lifestyle and a future, a way of living. Ahinsa acts as an umbrella under which many philosophies from past and present have bloomed, evolved and existed. 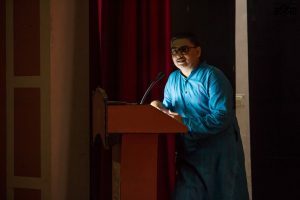 The festival brought together learned speakers, research scholars—conducting workshop, seminars discussing ideas that are vital in the modern times. The role of nonviolence in culture and daily life had been taught and practised by many philosophers throughout the entire history. There are several examples that often jump to mind when we come across the term ahinsa – Jesus, Buddha, Tolstoy, Gandhi, Martin Luther King Jr., and Nelson Mandela. Examples that ahinsa isn’t impractical and can be a part of any movement, resistance, ideology and even everyday life. 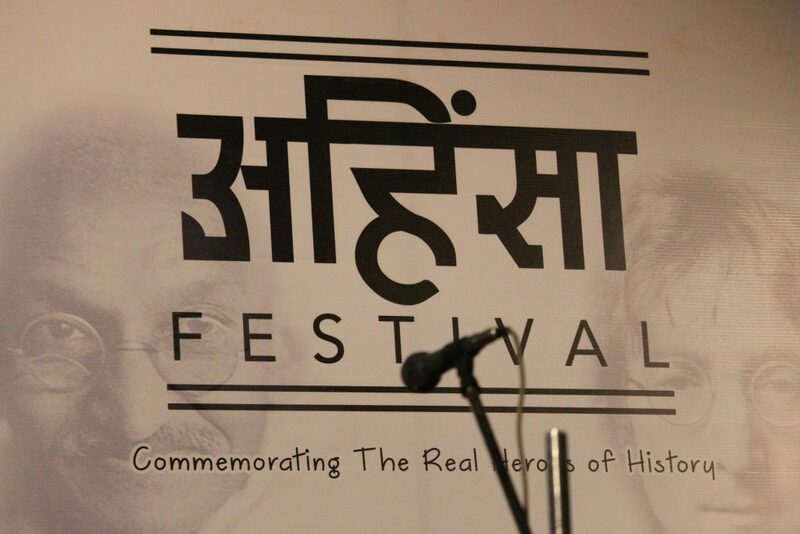 This festival commemorated those real heroes of history. To use the ideology in everyday activities and how to employ it in taking bigger decisions in life. In collaboration with Shoulder to Shoulder and National Movement Front, organisations that understood and supported Bewajah at every step, bringing together the best of the fields and turning the festival into a success. 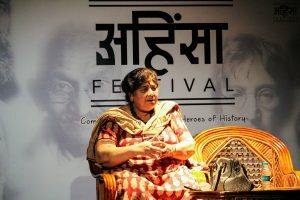 Speakers like professor Mridula Mukherjee, prominent author GirirajKishor, famous designer and a contemporary of Gandhi Chanchal ji, research scholar AlokBajpayee, Saurabh Bajpayee and journalist and a connoisseur of media Atal Tewari, joined us at the Festival and turned it into a huge celebration of ideas and beliefs, which are so important in the current scenario of society and politics. 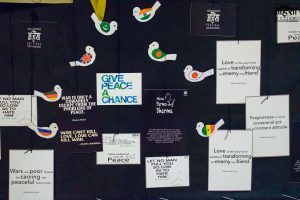 The festival also included a small essay writing and painting competition for young kids, as well as an educative storytelling session by Pramesh Agarwal, on the subject of nonviolence and peace.